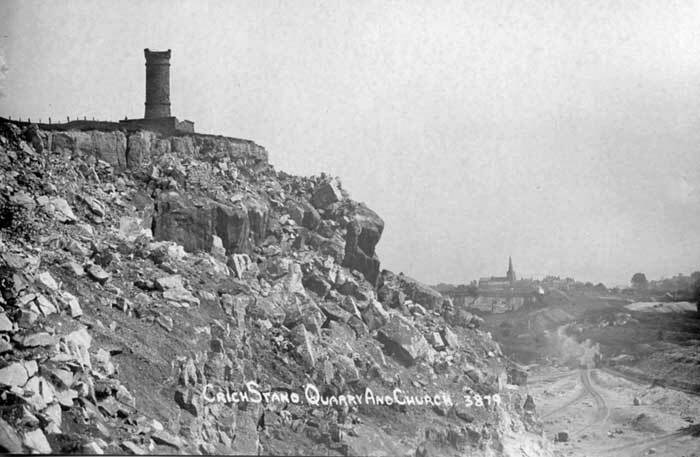 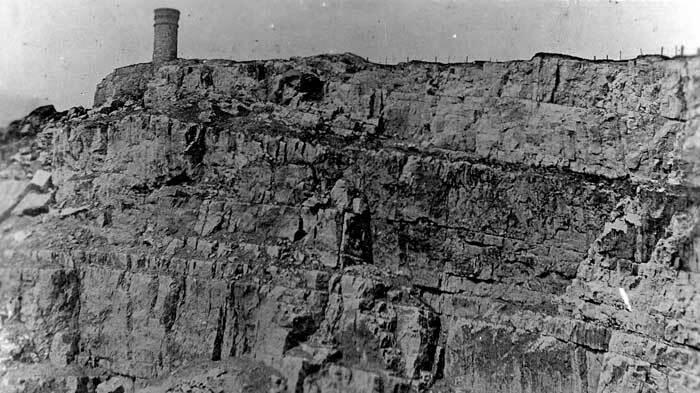 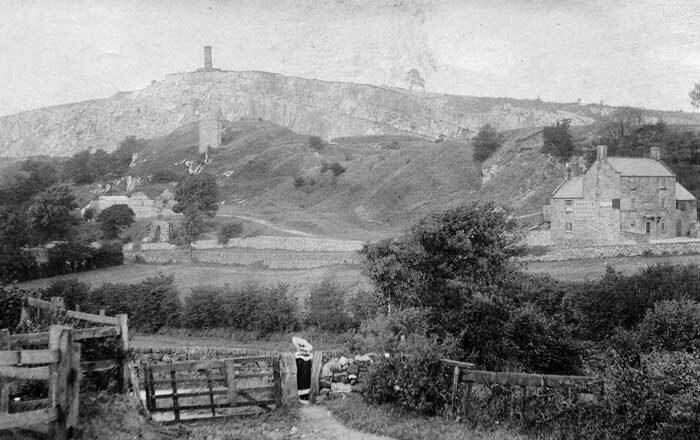 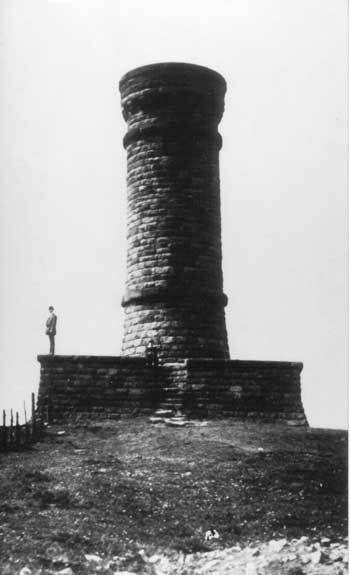 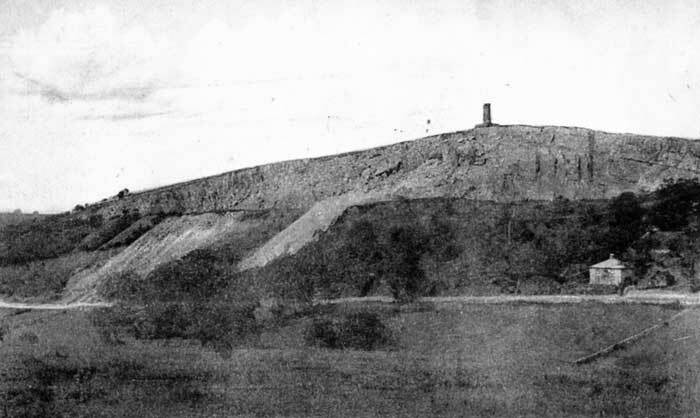 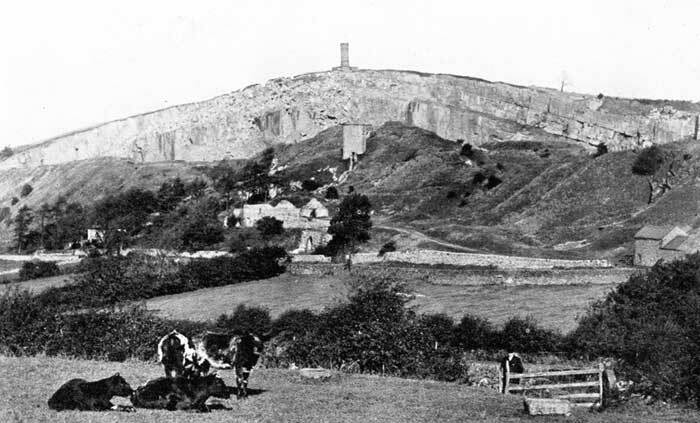 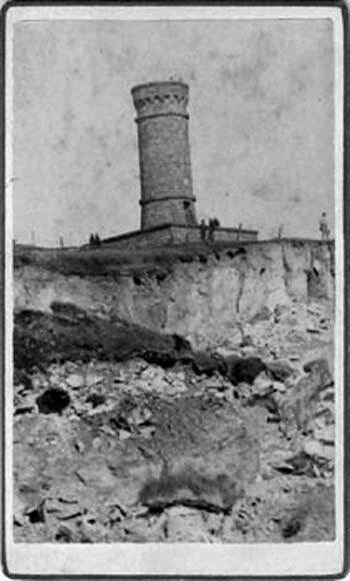 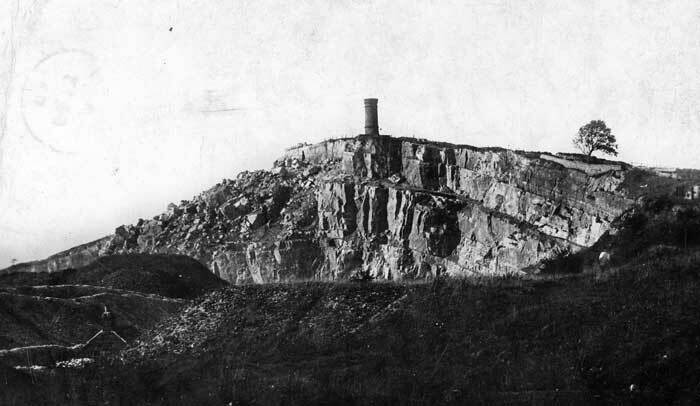 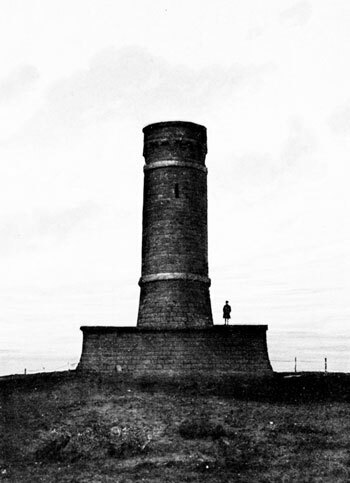 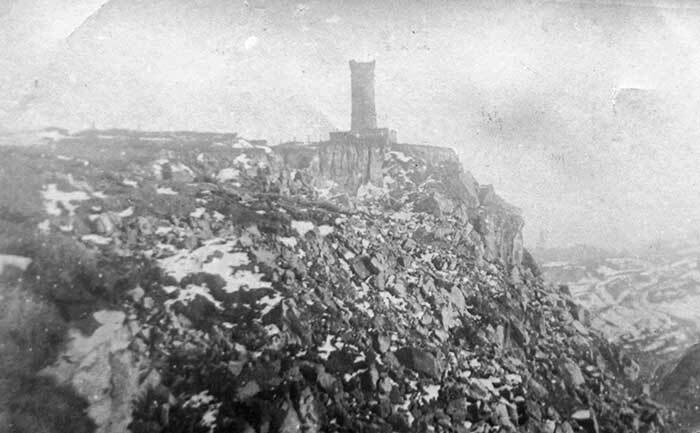 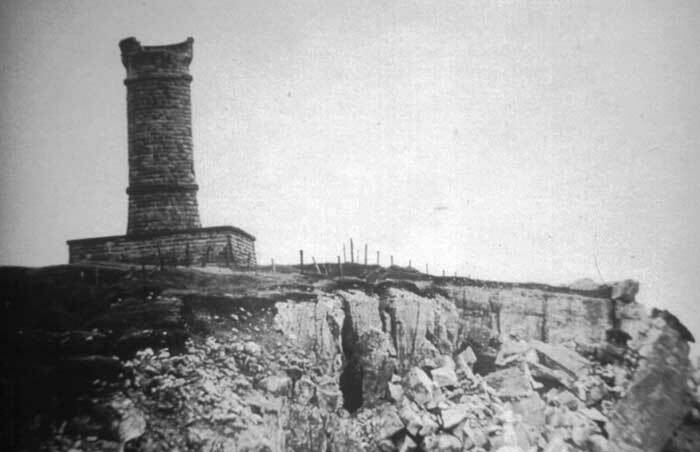 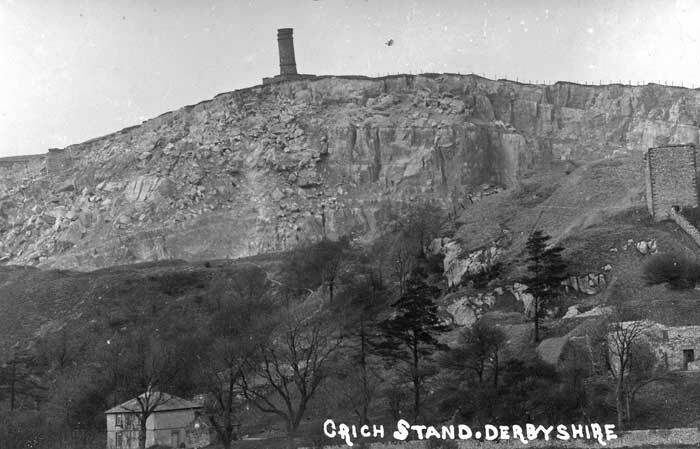 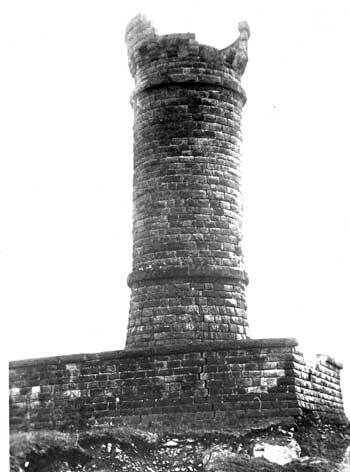 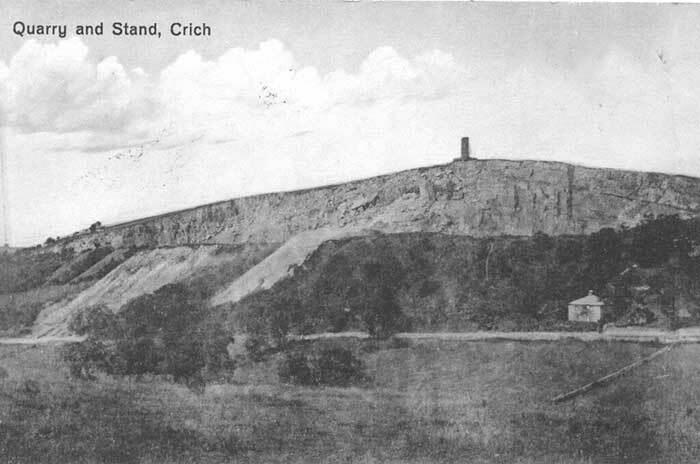 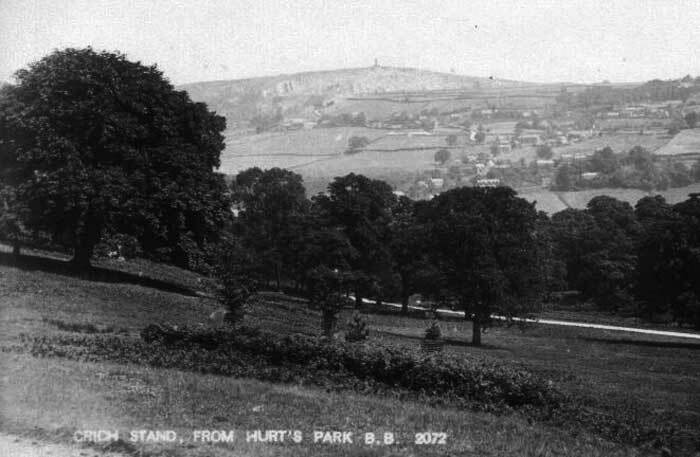 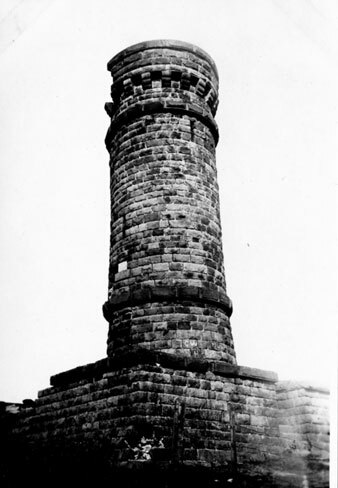 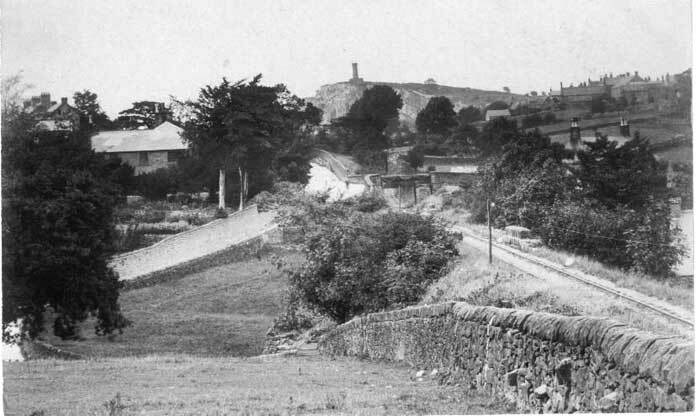 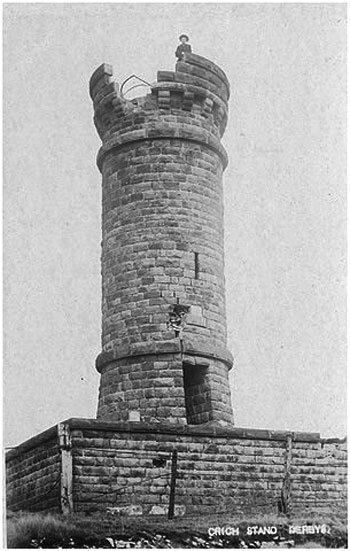 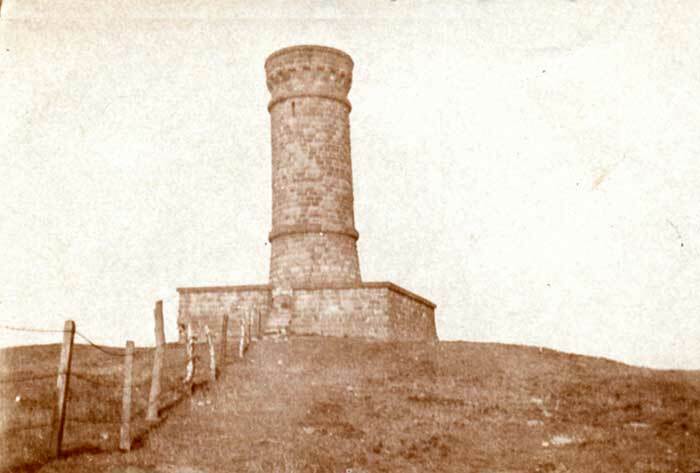 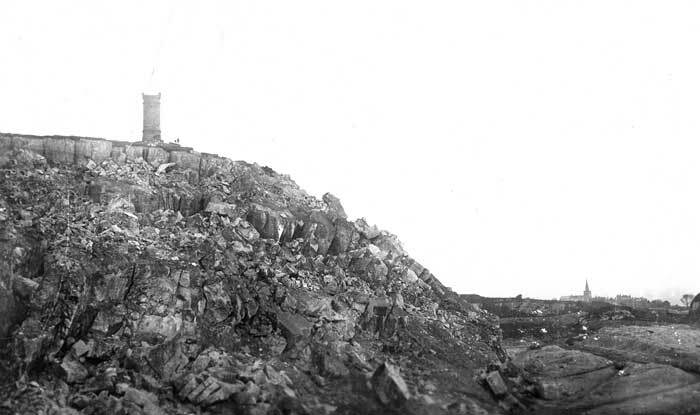 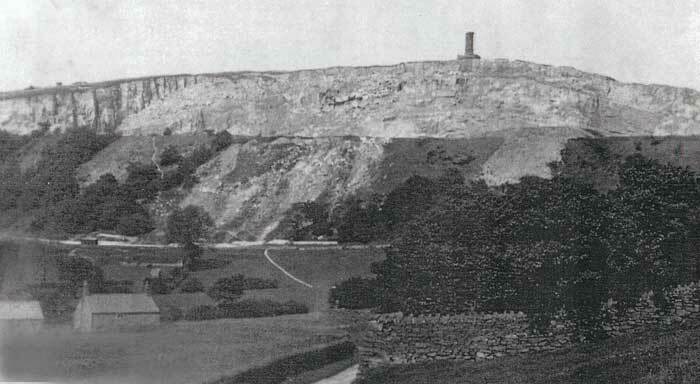 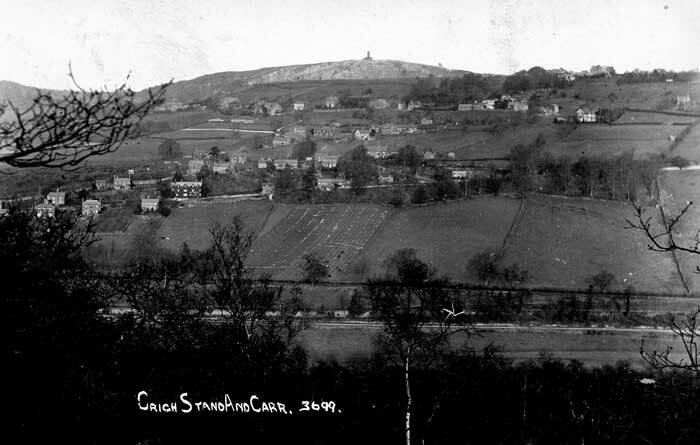 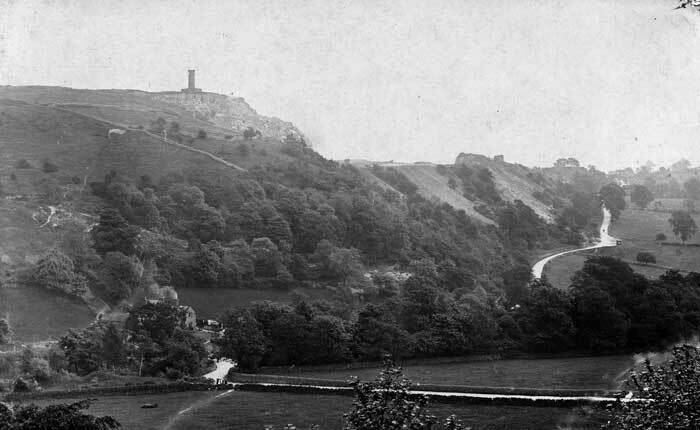 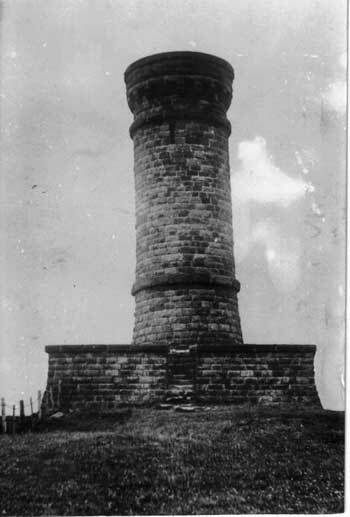 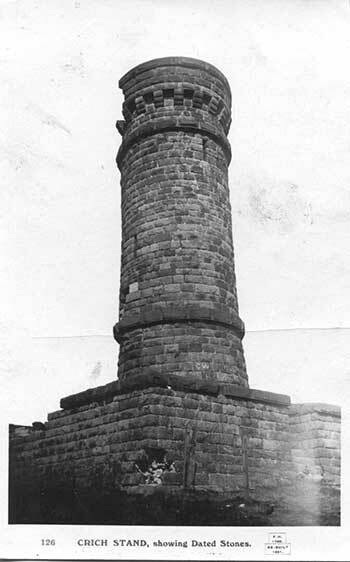 For obvious reasons Crich Stand has been photographed from near and far as it is quite a landmark from many places in the county. 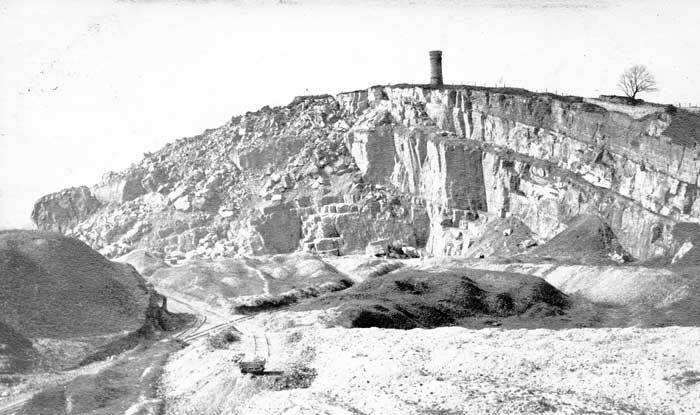 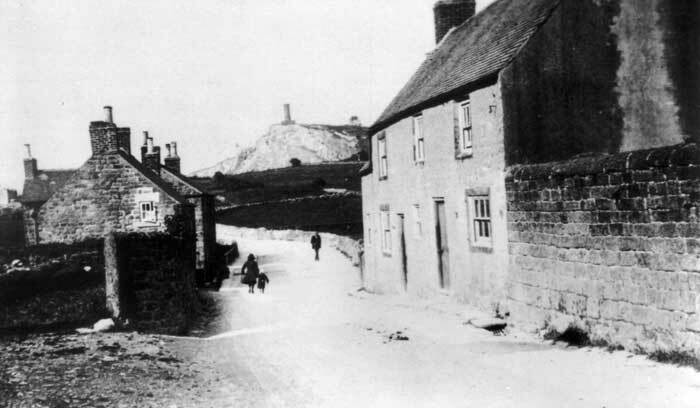 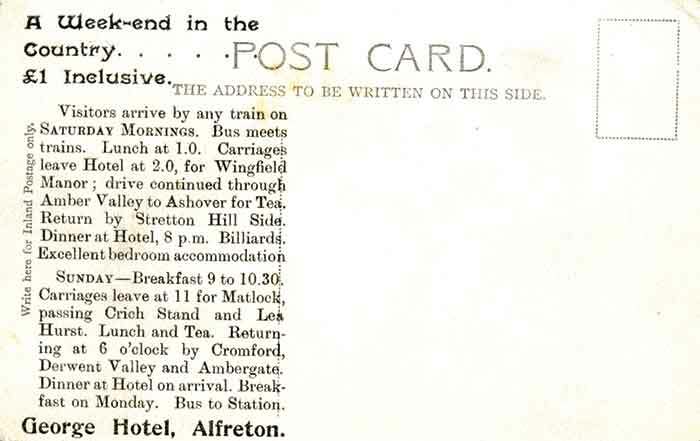 The following are photographs and postcards taken throughout the years. 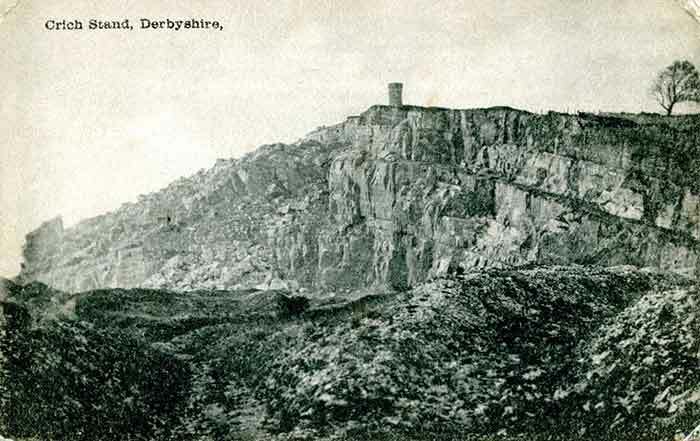 Beryl Calladine, P.N. 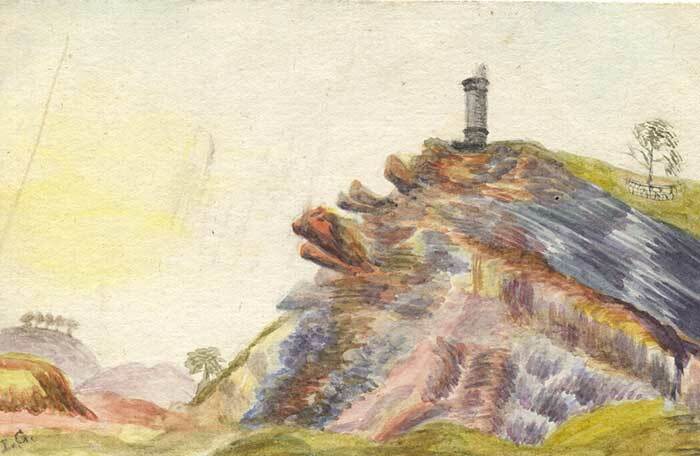 (private album), L. Barber, R.M. 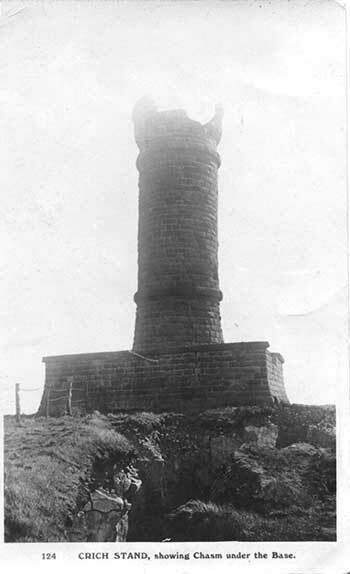 Larimore, Sue Worboys. 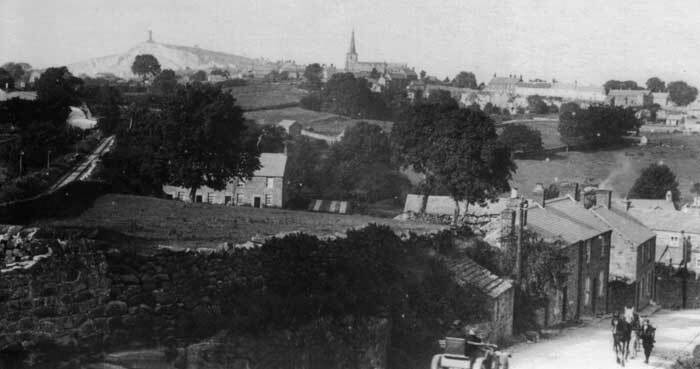 On the commencement of the building the residents of Crich presented Francis Hurt with an Inscribed Presentation Bible dated 1851. 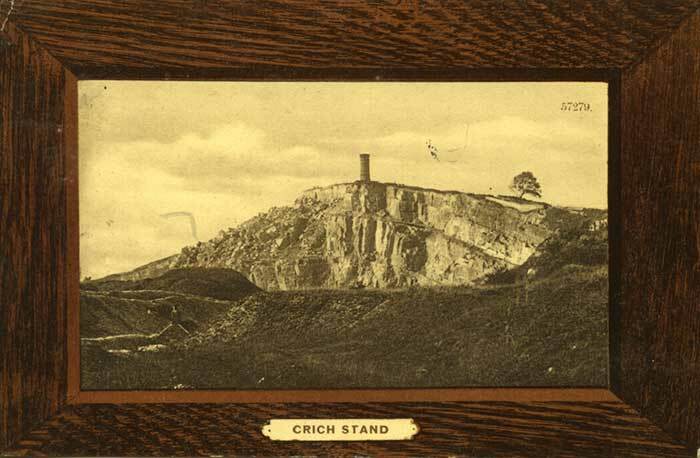 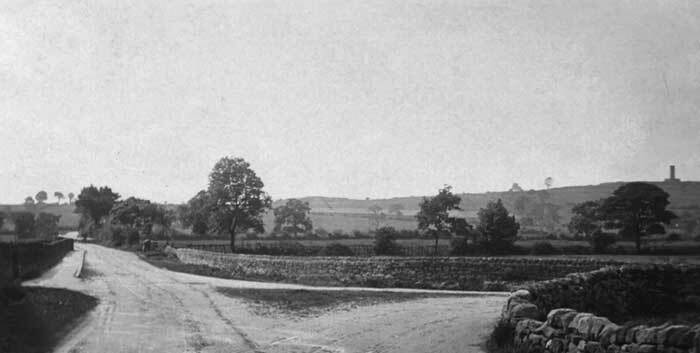 A postcard of the Crich Stand was used as a "bargain holiday" advert for the George Hotel in Alfreton.